This website is dedicated to meteorological and other natural hazard news around the world. 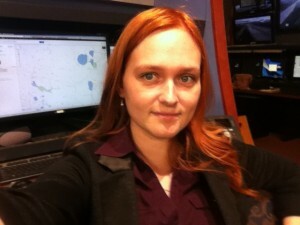 I am your host, Dr. Athena Masson, also known as the Weather Goddess. I follow severe weather as it is happening and conduct my own forecasts using various atmospheric and oceanic models. Please check out “The Blog” page as this is where I post developing stories that are happening around the world. Please feel free to leave comments and have some fun discussions with other meteorological professionals and enthusiasts. However, please be respectful. It is currently Hurricane Season, my favorite time of the year. Most of my attention will be focused on the tropical regions of the world and forecasting where hurricanes/cyclones/typhoons are going and the possibility of strengthening. Thank you for stopping by my website and please enjoy yourself. Get your daily dose of science! Who is the Weather Goddess? 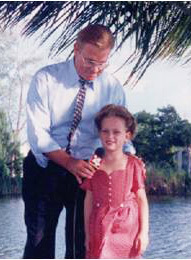 Athena Masson has been a weather enthusiast since the tiny age of 3 when she rode out Hurricane Andrew (1992) in Coral Gables, Florida. Hurricane Andrew made her realize that not everyday is “sunny with a comfortable high temperature of 80°F (26.6°C)”. There is a force much greater that dominates the world and the inhabitants that live upon the surface: Weather. It did not help that Athena’s mother, Dr. Angela Masson, was an airline Captain for American Airlines. Weather charts were always scattered across every table in the house and the television was always tuned to “The Weather Channel”. Since the destruction of Hurricane Andrew on her hometown Athena has tried to learn everything about weather and forecasting. 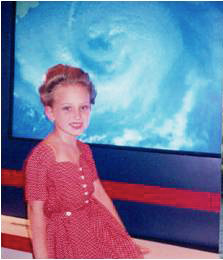 Even at a young age she approached meteorologists and dreamed of being a severe weather and hurricane expert. Athena graduated from the University of San Francisco with a Bachelors of Science and continued to Memorial University of Newfoundland, where she graduated with a Master’s of Science. Her Master’s thesis focused on extratropical transitions and included a case study on Hurricane Igor (2010) and the dynamics this storm underwent as it approached and devastated the Canadian island of Newfoundland (click “here” for article). Athena completed her PhD at the University of Toronto, where she created a new and improved hurricane scale that will better assess the strength of an approaching hurricane in the North Atlantic Ocean. This scale is known as the Masson – Gough Hurricane Scale. Although a hurricane expert and enthusiast, Athena also delves into other meteorological and natural disaster topics. Athena created “Weather Goddess” to share her love for meteorology. She loves to discuss current and past meteorological events that have occurred across the world.